In 1963 the Australian ordered 24 F111C from General Dynamics to replace the fleet of Canberra Bombers. The F111 is an all weather strike fighter/bomber with following features, viable geometry wings (swing wing), internal weapons bay and gun, terrain following radar and side by side seating within a escape module. The RAAF used the aircraft primarily as a bomber. Later in life a number of these aircrafts were converted for Photo Reconnaissance Role. Our aircraft A8-113 was originally built for the USAF’s Tactical Air Command (US Air Force) as aircraft 67-113. 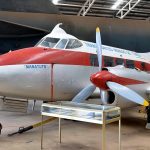 It departed for service to Vietnam in 1973 and flew 44 combat missions. 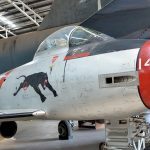 It first flew in August 1969 and was transferred to 430th Tactical Fighter Squadron of the 474 Tactical Fighter Wing at Nellis Air Force Base, Nevada. Following modifications the aircraft departed the 474th TFW for service in Vietnam in September 1972. By late November 1972, 67-113 had flown 44 combat missions. The aircraft flew its last combat mission over Vietnam on 19 April 1973, though it reportedly flew a mission against a Cambodian target on 15 August 1973. It was then placed into storage. In 1982 Australia purchased four Ex USAF F111A as replacement aircraft’s to cover RAAF losses. 67-113 was delivered to the RAAF on 23 May 1982 and was one of these four aircraft modified at 3 Aircraft Depot at Amberley Queensland. to F111C specifications and number A8-113. 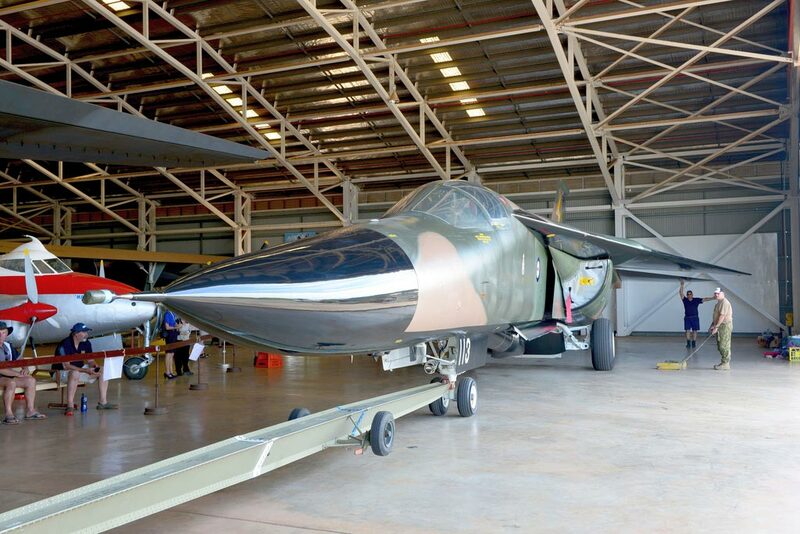 In October 1997, 25 years after 67-113 first saw combat in Vietnam as a USAF F-111A, the aircraft completed production test flying as a RAAF Avionics Update Program (digital) ‘Pave Tack’ F-111C. Its final airshow appearance was at Williamtown in September 2010. It was a static display at the F-111 retirement ceremony on 3 December 2010 and was officially retired on that date. This aircraft flew a total of 7478.8 airframe hours. Last flight was .9 hours flown on the 3rd December 2010. For a video of the assembly of the F-111 at the Museum, click here.